Each year, the whole NBA universe gathers to watch the fourteen non-playoff teams attempt to gain the number one overall draft pick at the NBA Draft Lottery. The Philadelphia 76ers earned the number one draft pick this year. After Philadelphia, the Los Angeles Lakers and the Boston Celtics will pick in that order. The 76ers will likely decide between college standouts Brandon Ingram, a forward from Duke, and Ben Simmons, a forward from LSU. While there are concerns about both players, many believe they could both grow to be superstars. The two projected top picks come from greatly different backgrounds. Simmons, who grew up in Australia, has been compared to NBA star LeBron James his entire life. On the other hand, Ingram was relatively unknown until making a name for himself his freshman year at Duke. Early indications show that the 76ers are leaning toward Simmons, who will fit well into the young core that “tankadelphia” has built over the last few years, including big men Nerlens Noel, Jahlil Okafor, and Joel Embiid. Meanwhile, besides the contention for the top pick, another storyline is the curse of Len Bias striking the Celtics again as they received the number three pick in the draft. In a draft with a clear-cut two players, the Celtics will have the option of a plethora of players with many question marks, including Dragan Bender, Buddy Hield, Jaylen Brown, and Jamal Murray. “Personally, if the Celtics don’t trade the pick, I would like to see Danny Ainge select Buddy Hield. His unreal shooting skills will make the Celtics a much better shooting team, and he will help open up the court for Isaiah Thomas to drive,” said Celtics fan Danny Emmerman. There’s no question the Celtics will have a lot to think about when they finally go on the clock in just one month. The team will be extremely busy on draft night, for the C’s have the most picks in the draft, a whopping eight picks including 3 first rounders. 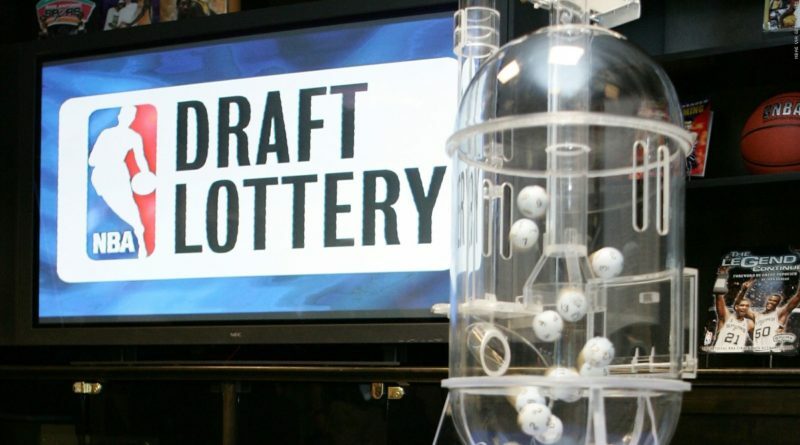 With the draft order set last night, there is no question the 2016 NBA draft will be packed with excitement, especially with a lack of consensus for the top pick and perennial franchises like the Lakers and Celtics selecting in the top of the draft.